Don't miss your opportunity to own this EXCEPTIONAL CORNER/GROUND LEVEL SUITE @ THE GROVE, complete with 2 PARKING STALLS/1 LOCKER & is on the QUIET SIDE OF THE DEVELOPMENT! Conveniently located in Walnut Grove, this home is perfect for anyone who wants all the amenities within walking distance (72 WALK SCORE), including: Park n Ride/Express Bus, Medical Services, Parks/Walking Trails, Shopping & much much more! 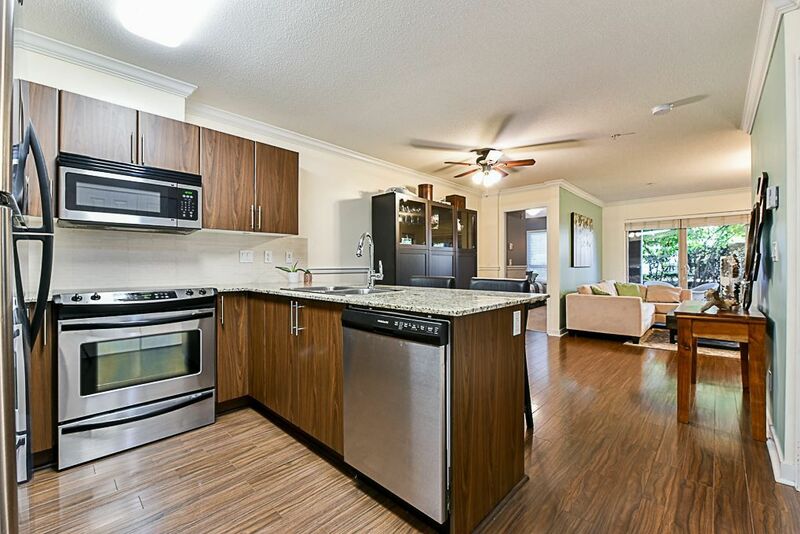 Well appointed with all the modern luxuries, including: Granite Countertops, wood flooring, brand new carpets, stainless steel appliances, and OVERSIZED PATIO perfect for afternoon BBQ's! Pets & Rentals Allowed. Maint Fee : $254.47. Call today!